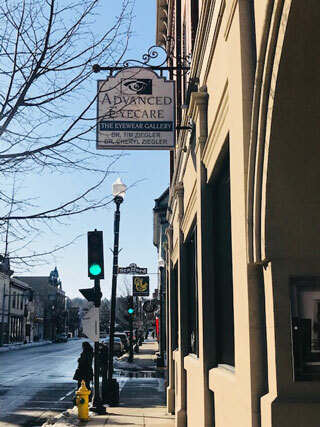 As a fully licensed and equipped optometric practice, Advanced EyeCare of Plymouth offers a complete range of eye care products and services to all our patients. With our years of experience in diagnosing and treating such typical vision disorders as nearsightedness, farsightedness, amblyopia, presbyopia, cataracts, macular degeneration and diabetic retinopathy, Drs. Timothy and Cheryl Ziegler and their team are equipped to provide appropriate therapeutic medical eye care. At the same time, the Advanced EyeCare of Plymouth team offers a large selection of the very best, highest-quality eye care products at reasonable prices to help our patients look better & see better! Our patients never pay more than necessary for the best quality in eyeglasses, contact lenses, sunglasses, progressive and bifocal lenses. Although many don’t realize it, the best way to protect your vision is with a yearly eye checkup. Even a comprehensive eye exam can instantly detect such health-threatening conditions as tumors, vascular irregularities and diabetes-related injury to the retina. At Advanced EyeCare of Plymouth, that annual checkup is brief and painless.